The Truth and Lies of Ella Black is the second book I have read by Emily Barr. The One Memory of Flora Banks came out about a year ago and it was a book I greatly enjoyed, with its snowy remote setting. (You can read my review of that here.) 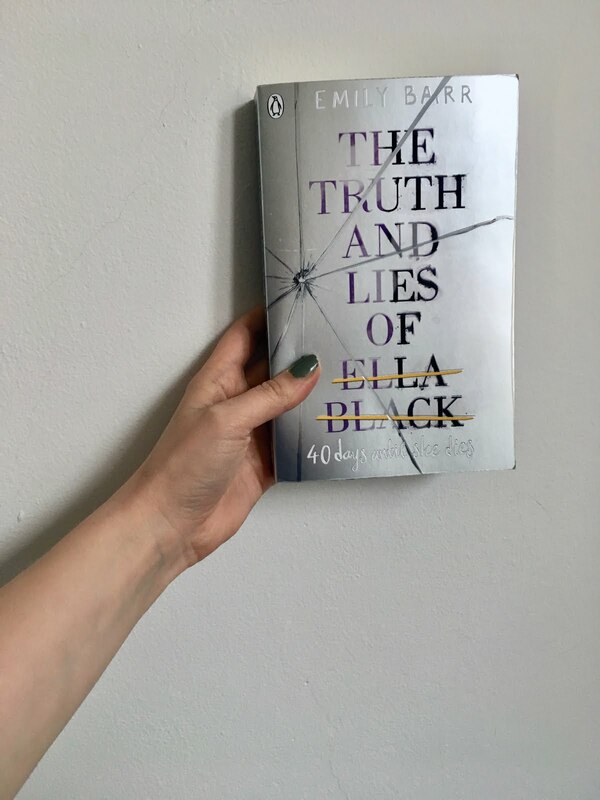 The Truth and Lies of Ella Black focusses on teenager Ella, who struggles with her dark side while trying to appear picture perfect to her parents. When she is taken out of school one afternoon completely unannounced and flown to Brazil with her parents, Ella understandably has a lot of questions, none of which are being answered. There are secrets in her past that Ella knows nothing about, but while on the run she begins to slowly uncover the truth. We spend much of the book in the heat of Rio as Ella struggles to make sense of her life so far. It's a far cry from the snowy north of The One Memory of Flora Banks, but there are similarities in the unravelling of lies surrounding both Flora and Ella. Both girls' parents have lied in a bid to protect their daughters and both girls end up breaking out on their own, battling against their own brains to figure out what is true and what has been fabricated in their lives. Much like Flora, Ella's journey is made all the more easy with the kindness of strangers and it seems luck is on her side to keep danger mostly out of her path. This is maybe a little unrealistic, and the same criticism could be applied to Ella's instant falling in love with an American boy from her hotel with whom she spends one night out partying. However the stakes feel high and so all emotions feel justifiably heightened, with the tension and peril of the plot keeping the pace up all the way through. I found myself wanting to get back to the story and quite honestly thinking to myself "right, what is this idiot doing to do next" as Ella went from bad decision to bad decision. I really enjoy Emily Barr's writing, so I'm looking forward to what comes next. She was recently in India doing research for the next book so I think we are safe to assume we'll be getting another great use of an interesting location. I received a copy of The Truth and Lies of Ella Black from Penguin Random House, which was very nice of them! This is an honest review, promise.